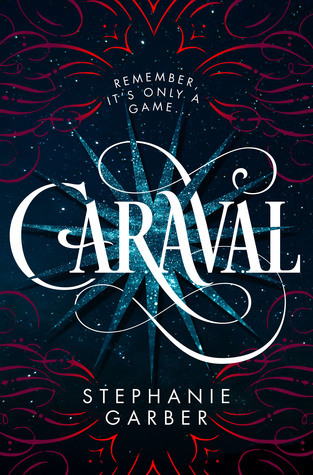 I was provided an ARC of Caraval via NetGalley in return for an honest review. These kind of books are my all-time favourite books, one where I am reading and get completely swept up in the world and the characters I am reading. The minute I picked up my Kindle I was transported and lost myself in the world Stephanie has created. That is a mark of a great author, one that can make you forget who you are and where you are. Where you just live and breathe the book they've written. When Caraval opens, we meet Scarlett, a young girl who has grown up hearing tales of Caraval, a game she is desperate to play from her grandmother. 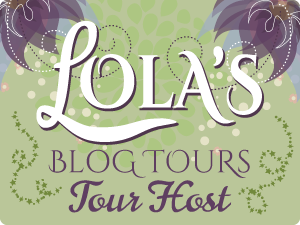 Scarlett is scared her chance will pass once she is married to the man her father has arranged for her to marry so she contacts Legend, Caraval's creator, in a bid to get tickets. Scarlett gets the tickets but as she has never left her isle and is petrified of the price her leaving will cost Tella. You see, Scarlett and Tella live with an abusive father and my heart broke for them. He has to be one of the most sadistic characters I have read. Instead of punishing the sister who breaks his rules he will punish the other. From the moment I met him I really hoped that they girl's would escape and their father get his comeuppance. Tella enlists the help of Julian to get Scarlett off the their isle and get her to use the tickets Legend has given her. I absolutely loved Julian! From the moment I met him I thought he had something to hide which made me wary of him but as the book progressed I genuinely felt he was really there to help and would do anything for Scarlett who is desperate to win the game and save her sister. Throughout Caraval, Stephanie has an amazing way with words. The descriptions of the world Scarlett and Julian are in are so enjoyable to read and that is part of the reason you get so swept up in the world. Well, at least it was for me. The closest book I can think that compares to this is The Night Circus. The whole world is just so other-worldly and the whole concept of Caraval and the isle it is on is as equally amazing. And then there's the ending! I couldn't stop reading when I got to the end of this book, I had to know what was going to happen and if Scarlett would ultimately win! I got so swept up in all these characters and their fight. I also loved the romance you see unfold while reading between Scarlett and Julian, it was a joy to read and I really was hoping against hope that they would land up together.